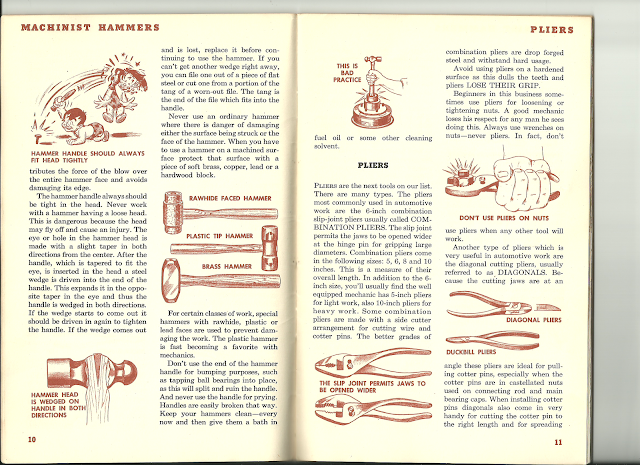 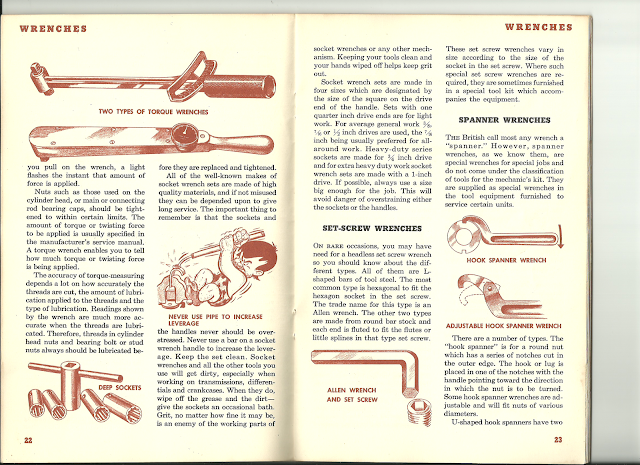 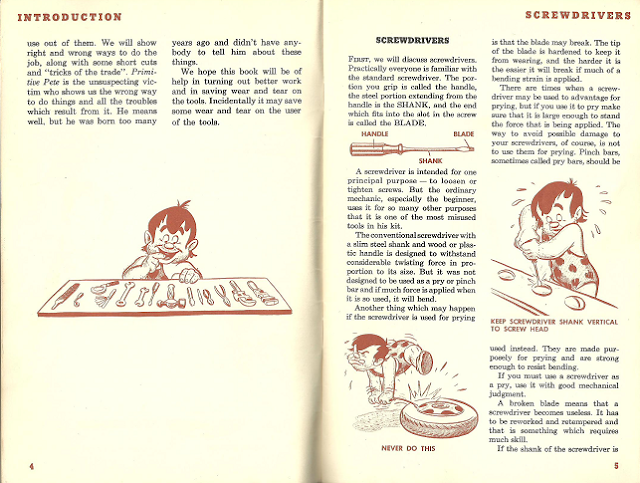 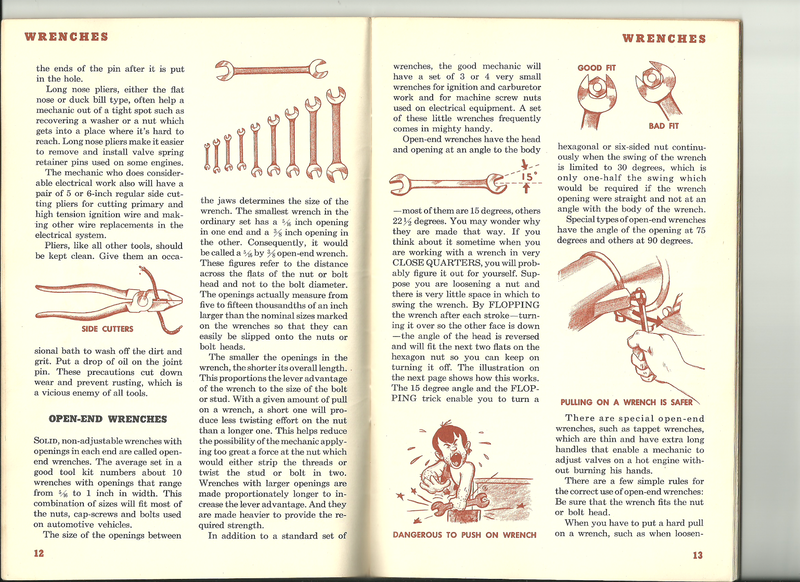 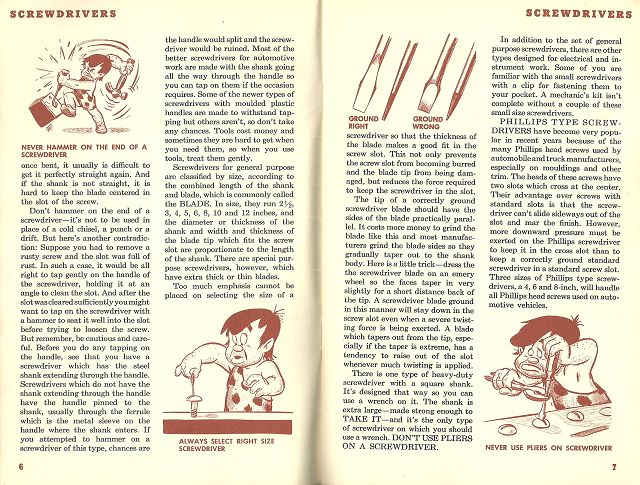 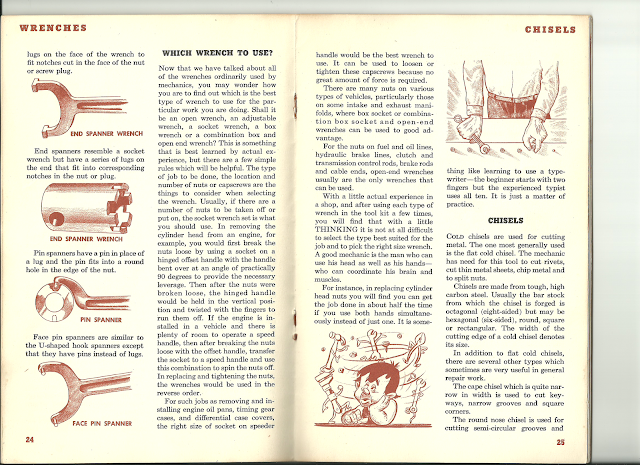 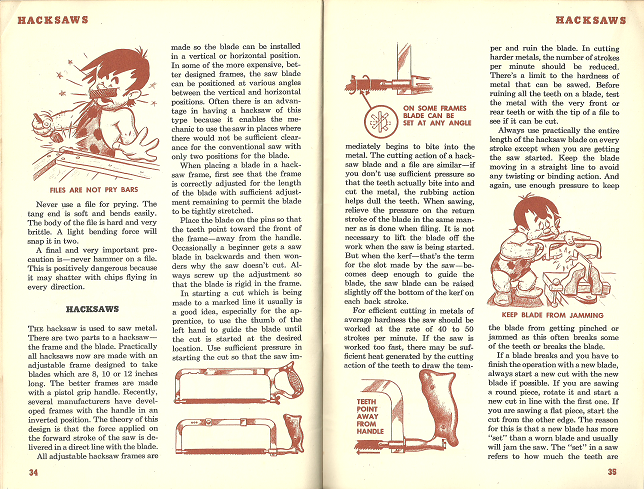 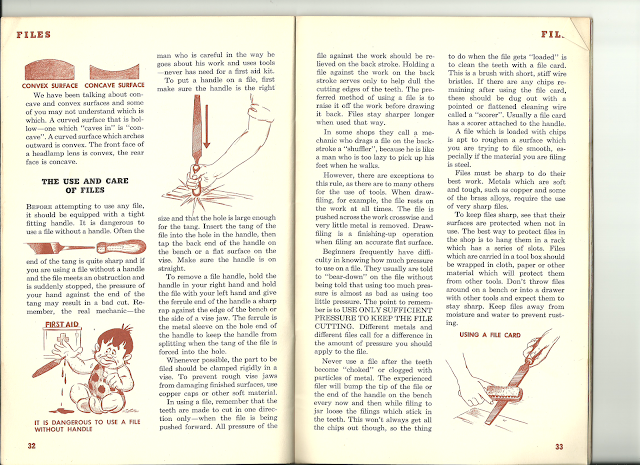 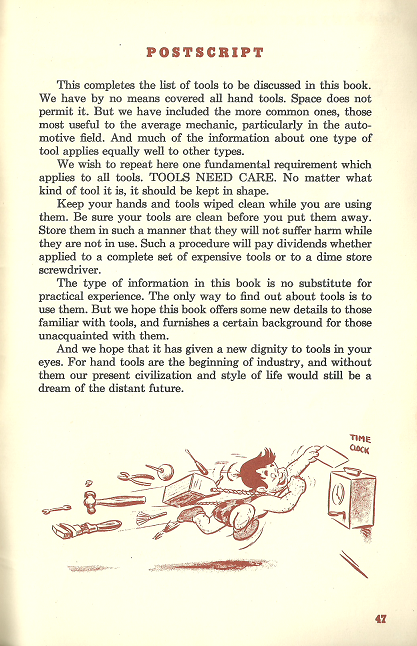 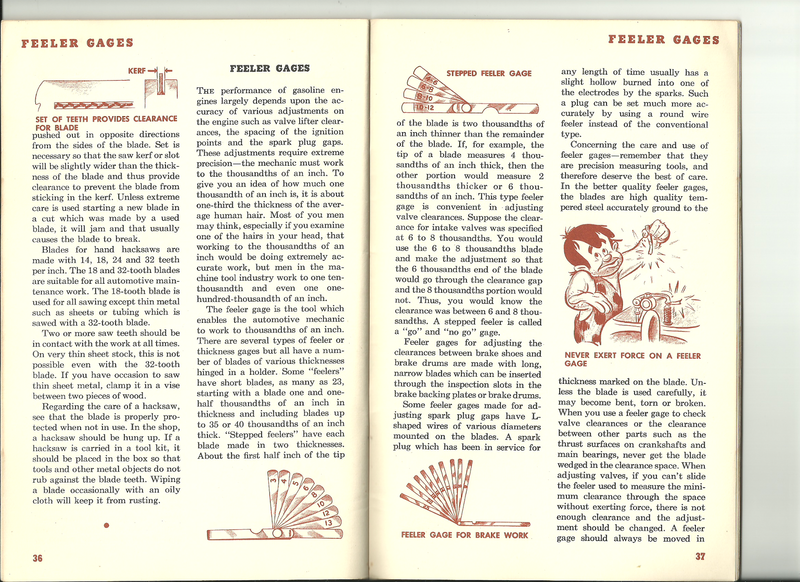 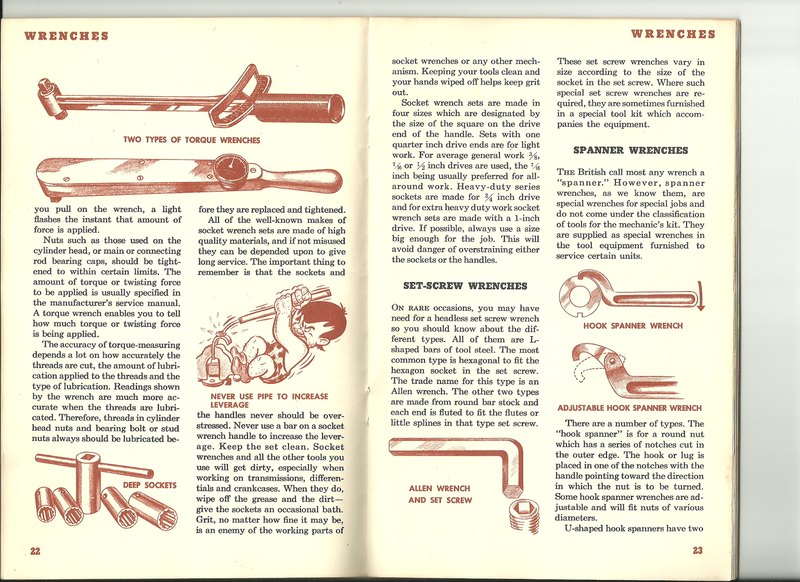 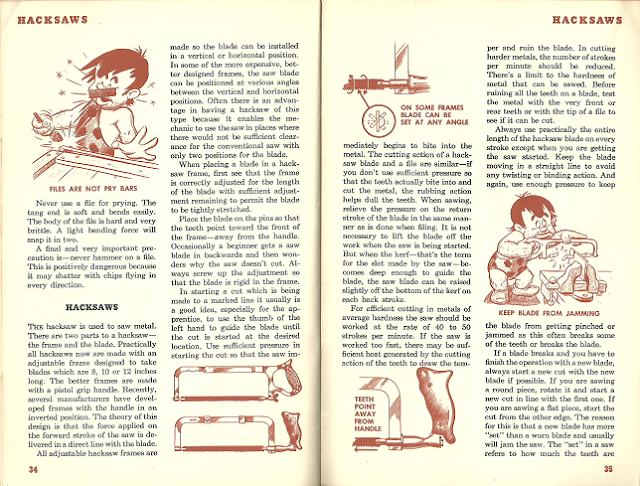 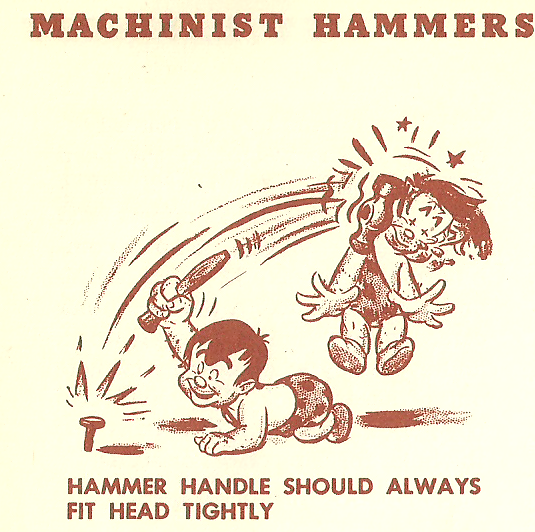 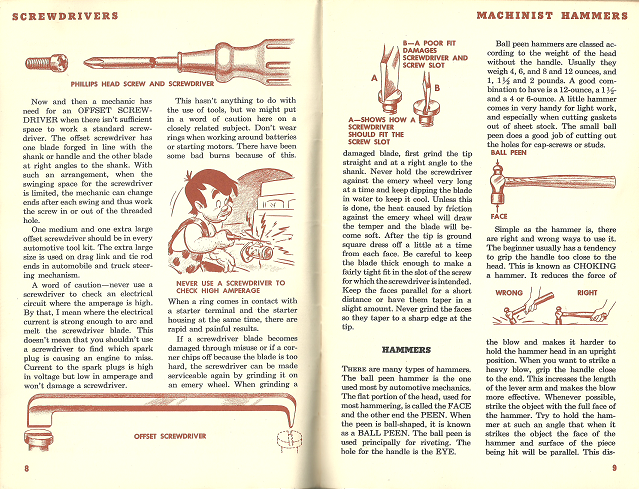 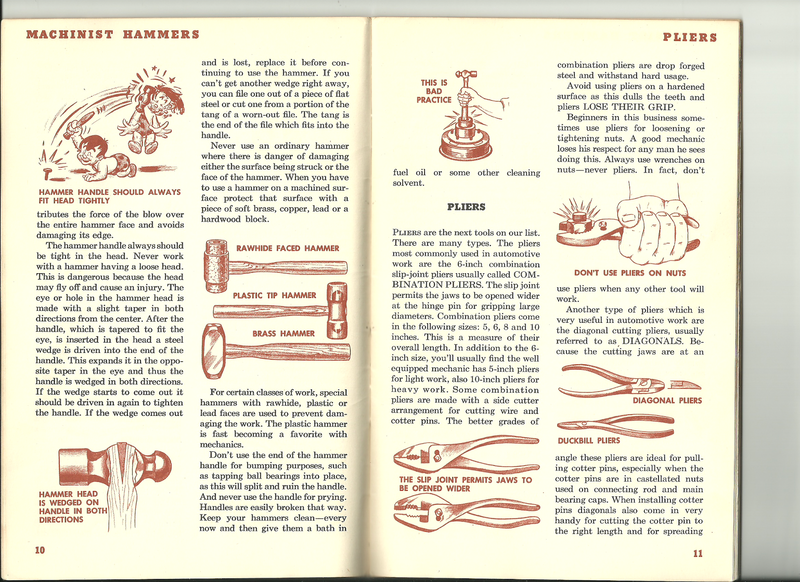 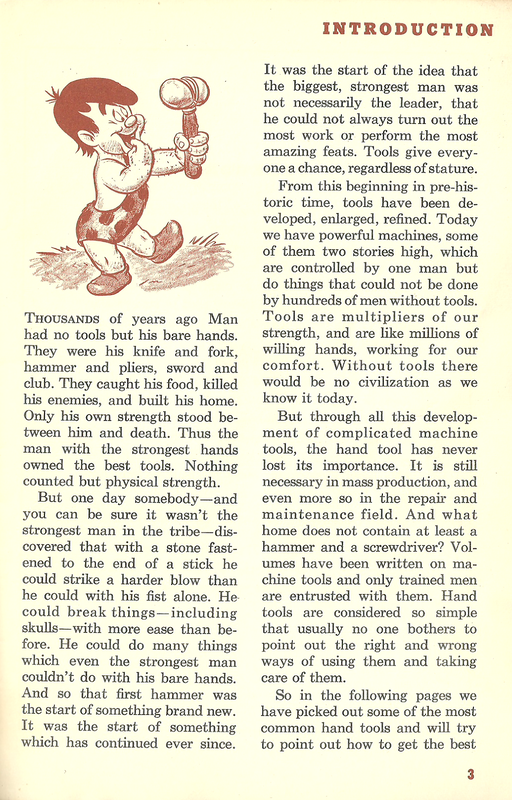 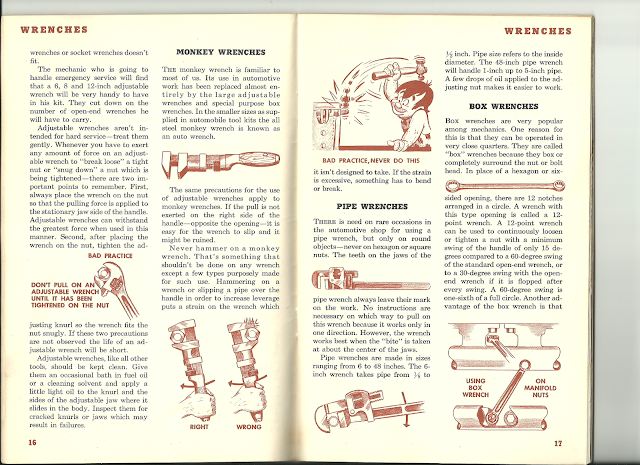 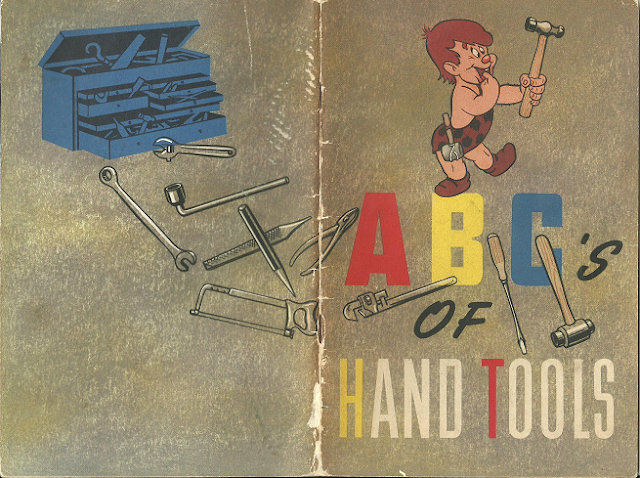 Five years ago, I obtained a copy of a 1945 publication entitled, ABC's of Hand Tools, for five dollars at a local flea market. 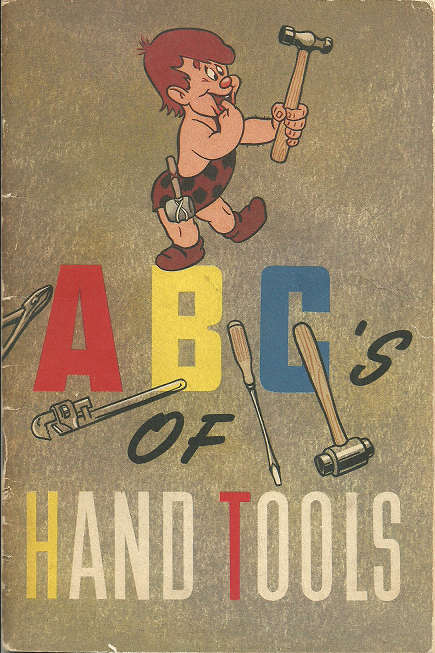 What caught my attention was the image of Disney's Primitive Pete on the front cover. 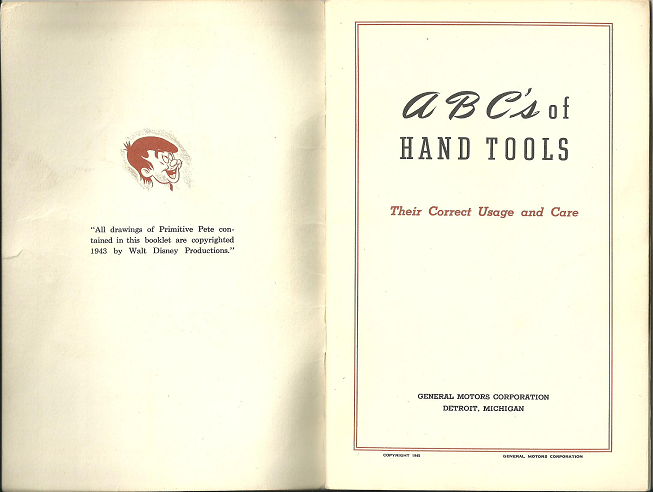 Pete made his debut in the 1943 Disney short, Reason and Emotion; "a morale-building wartime film, presenting an explanation and demonstration of how reason combats emotion within our minds," describes former Head Archivist of the Walt Disney Archives, Dave Smith, in his Disney A to Z book. 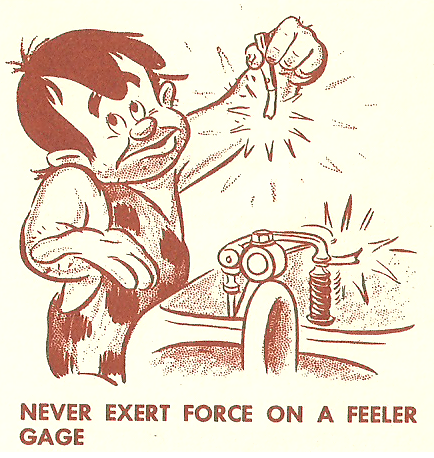 In the film, Pete represents the animal that lingers in the back of all of our minds, but lacks the ability to control his primitive instincts. 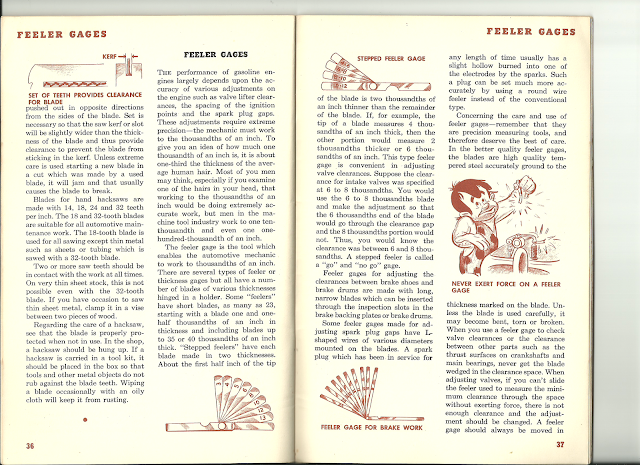 His urges and emotions drive his actions, and are foiled by the sensible and reasonable side of the brain; Felix Ungar to his Oscar Madison if you will. 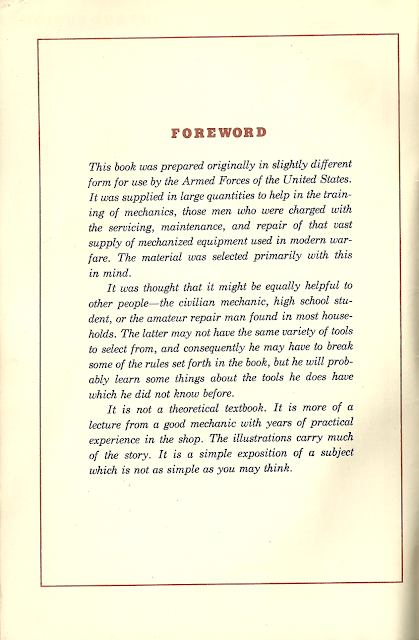 This book was prepared originally in slightly different form for use by the Armed Forces of the United States. It was supplied in large quantities to help in the training of mechanics, those men who were charged with the servicing, maintenance, and repair of that vast supply of mechanized equipment used in modern warfare. 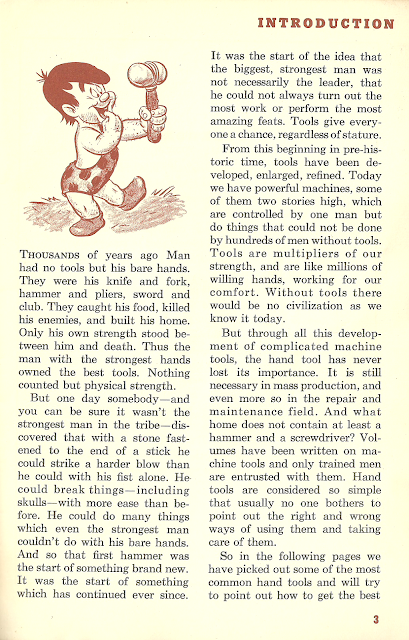 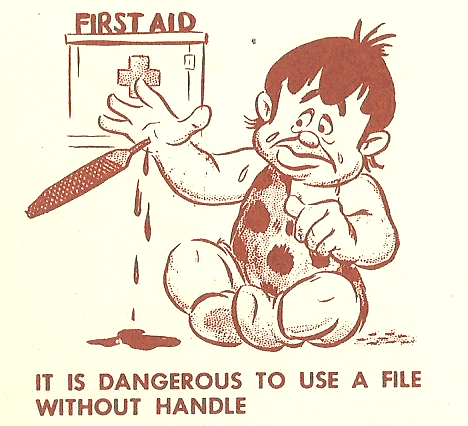 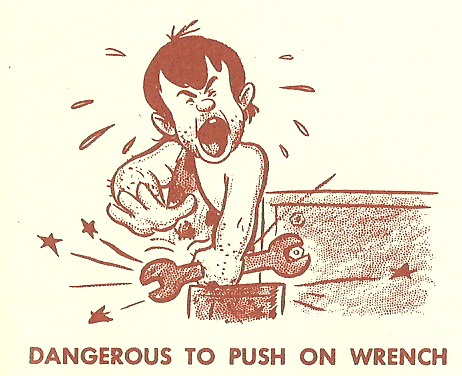 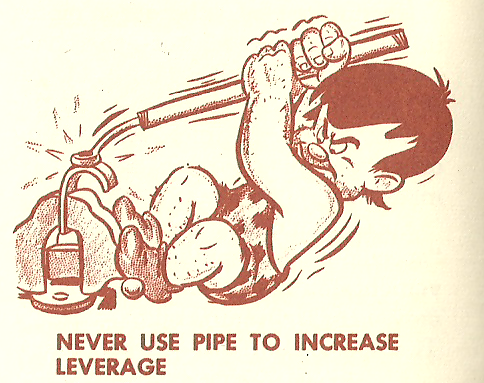 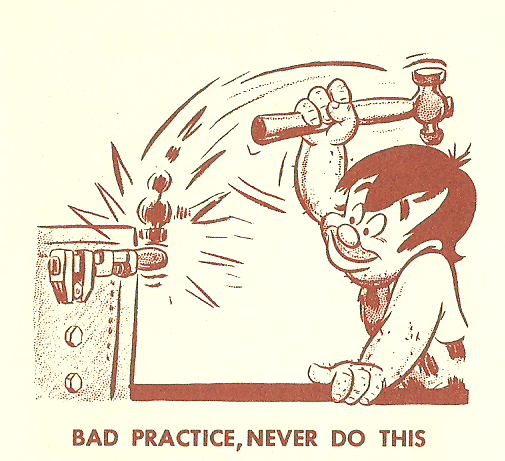 For your enjoyment, all images of Primitive Pete from this publication have been scanned and included in the remainder of this post. 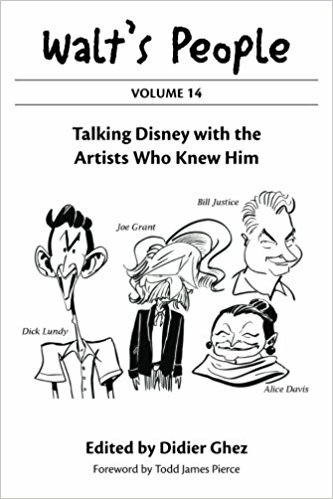 Although Pete's stardom was short-lived, it is the hope that the discovery of this book will inspire others to keep a look out for other memorabilia that makes use of this significant and rare Disney character. 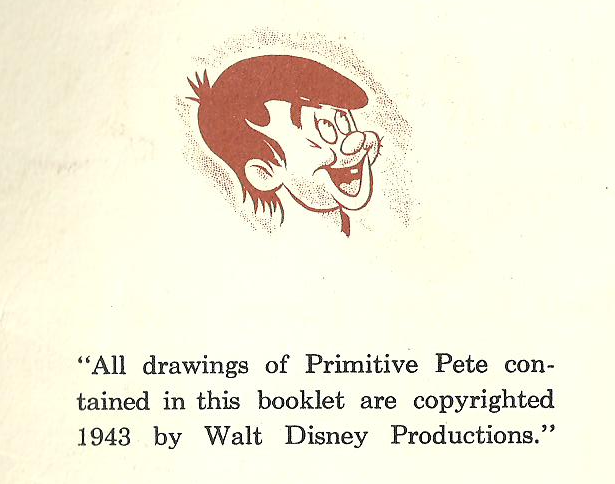 On a side note: does anyone else out there feel that Pete may be another caricature of Ward Kimball? 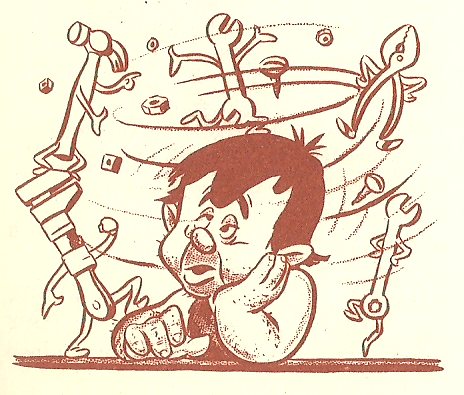 Perhaps he animated him?